I'm totally drained but I wanted to get the pictures from the week/weekend up before we head to bed! 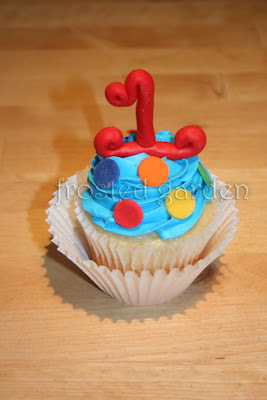 These were made for little Conner's first birthday! 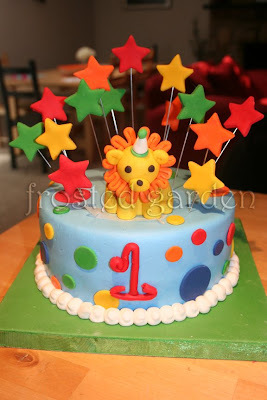 If you recall, I did a small cake for a 1st birthday photo shoot Conner had a few weeks back. These goodies were made for his actual party! I did get one picture with my iPhone but it wasn't finished. Sigh. Here it is anyway. 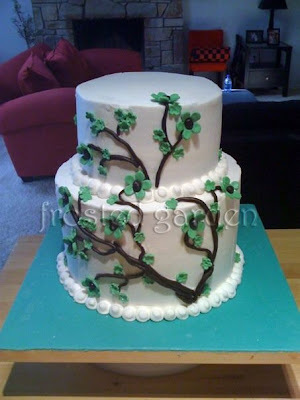 Imagine a few more tiny branches, flowers on the cake board, and white hydrangeas sitting on top. Gorgeous birthday cake. Happy birthday! I just had mine a couple weeks ago, and I too made my cake. Although, just a simple 6" so that I could use my new impression mat for an upcoming wedding I was doing. You are same age as my oldest daughter! 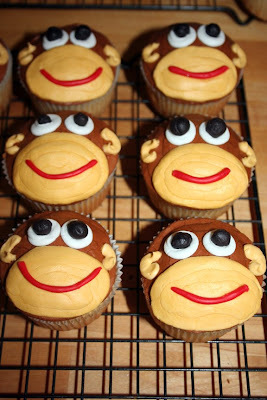 : ) Love the monkey cuppies too. 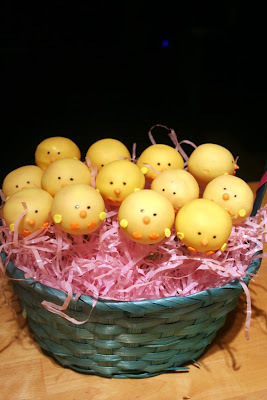 And how did you do the chick cuppies? I will email you! Thanks for the props! Everything turned out adorable! Happy belated birthday!